Typical Booth set up with managed memory book. These folks will do you right! Whether at a wedding, prom, corporate event or party, they are johnnie on the spot and ready to go. They do everything they can to please and will go above and beyond to make it happen. I have been to two weddings and they have provided the photo booth there and great pictures and fun was had by all! Try them! They will do you right! Thank you Sabrina! I appreciate the confidence you have placed in our services. MS photo booths made our wedding light-hearted and fun. Everyone enjoyed it and I have had a great time going through our book looking at what others wrote about their pics. Also, it was neat to make our own footer for it! I have used Mississippi Photo booth for events in our department. We host going away parties for students at the end of each semester. The students enjoyed having the opportunity to have pictures made with heir friends. We received professional and courteous service from Scott. I highly recommend his services! Thank you Carrol...It had been a pleasure working with you and your staff. We loved, loved, loved the photo booth! Wearing goofy hats,oversized sunglasses, and flashy boas, we laughed and posed and made priceless memories with friends from high school. Thanks, MS Photobooths, for making our reunion so special. Thank you Sherrie!!! KHS ROCKS!! Everyone had a blast in the photo booth at the St. Jude Red Carpet Bash at Hollywood Casino! It was a hit... great fun! Thank you! Fabulous way to get the part started!! Everyone LOVED the photo booth at our non-profit fundraiser! People lined up to take photos and were thrilled to be able to take them home with them. It's a great way to get the party started and keep it going! Scott and his folks were so friendly and easy to deal with. 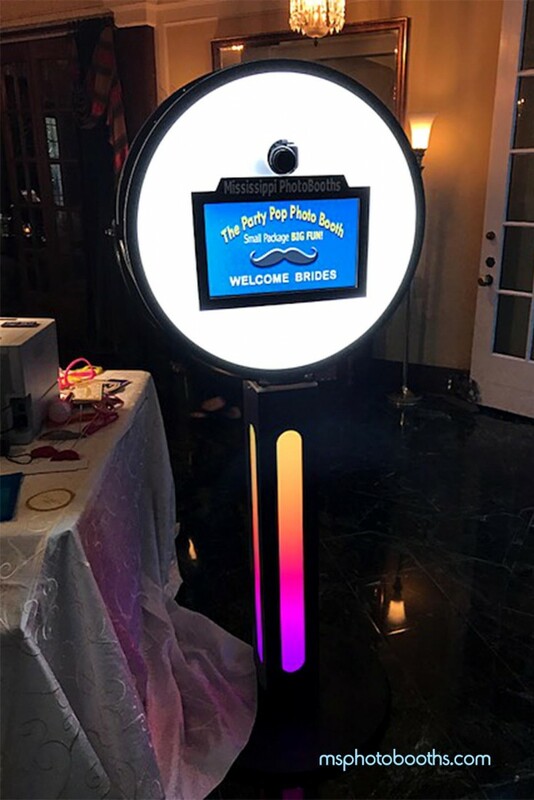 We used their photo booth for a high school grad night event and the kids LOVED it! I would recommend MS Photo Booths to anyone that is planning a party! Thanks Scott and team! Thank you Daphne!!! We appreciate you! This is a great company. They provided outstanding service, were kind and considerate to all our participants. Needless to say everyone LOVED having the pictures to share. We would definitely book them again. We loved having the photo booth at our wedding! Scott and his wife are so wonderful!! Highly recommend!!! Thank You Mrs. Kristen Lee!! We had a blast with all your friends!! We look forward to returning to Starkville in July! Mississippi PhotoBooths did an awesome job at my birthday party. Scott and his wife had lots of fun props for my guests to use. The photo booth made the entire night a great success. I am still looking at the pictures in my memory book and laughing. I appreciated the fact that everyone can download the funny photos for free!! Thank you Mississippi PhotoBooths for making my surprise party a great success. The photobooth was the hit of the night! Even the older couples enjoyed the fun. The props really made the pictures very comical! Loved it! Hope to use it again in the future! 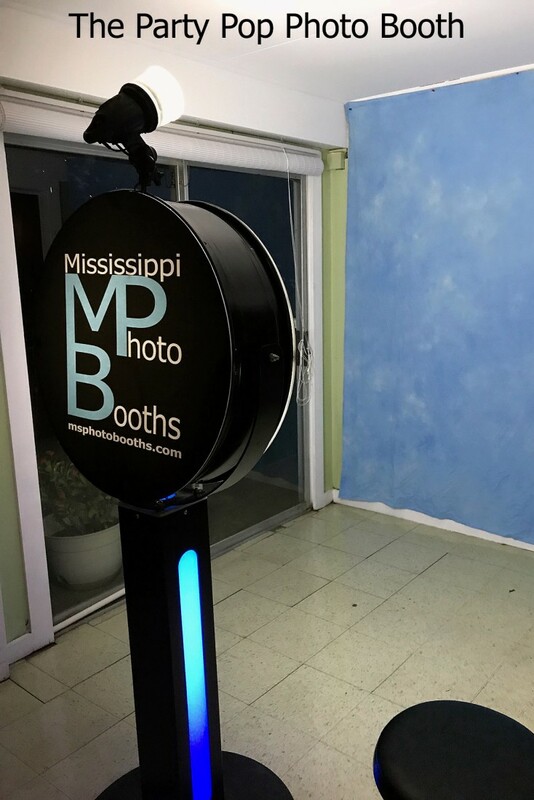 Review by Stephanie P. S.
Insurance: Mississippi PhotoBooths carries Liability Insurance. Proofs of coverage available upon request. I started Mississippi PhotoBooths, LLC May 2010 as I retired from a successful career as a wedding photographer. I did not like the look of the booths on the market so I designed a very elegant booth of Oak Wood geared toward weddings. After 8 years and over 1400 events we now operate 4 different types of booths including a 1969 Vintage Trailer booth called the Party Shack for a total of 13 booths out of 3 locations in Mississippi. We operate our business with the same professionalism as we did wedding photography with a strong focus on service and detail. We work closely with our clients to provide the best photo booth experience possible. We use the state of the art equipment and always bring back up equipment to every event.